Composer, sound designer, and electronic performer Ryan Ingebritsen’s music and sound art focus on the multi-dimensional aspects of sound while attaining a degree of clarity and lyricism to permeate and reveal the musical structures he creates. Though grounded with an education of the cannon, Ingebritsen’s music stands with both feet firmly planted in the 21st. Challenging performers to extend beyond themselves into the realm of interaction with visual, electronic, and natural experience, his music provides audiences a window to observe our multi-dimensional universe through the interplay and interaction of sound. A graduate of St. Olaf College (B.M. 1995) and the University of Cincinnati College-Conservatory of Music (M.M. 2000), and a 2000-2001 Fulbright Scholar in Poland where he studied under the tutelage of composer Zbigniew Bujarski and composer/audio artist Marek Choloniewski. Since then he has appeared on international festivals and created music for various mediums in Chicago and abroad such as the MATA and Tune In festivals in New York City, Ingenuity Festival in Cleveland, and Audio Art Festival in Poland to name a few. Recent composition projects include Songpath: a compositionally guided sound tour of the Minnesota State Parks; Audio Playground: an interactive playground sound installation commissioned by the Chicago Park District; Train Time: a collaborative sound installation on the theme of trains for Chicago’s state of the art J. Pritzker Pavilion sound system as a part of the 2008 Chicago Humanities Festival; New Music Plus Painting: a collaboration with 4 composers, International Contemporary Ensemble, and collaborative visual artists the Zhou Brothers. He has collaborated with artists such as Todd Reynolds, International Contemporary Ensemble, Third Coast Percussion, Beta Collide, Firewire, Till by Turring, Gold Sparkle and Stars Like Fleas. In 2011, he began an ongoing collaboration with movement artist Erica Mott that has resulted in several movement based interactive works including the Victory Project (2011) and the Vikings and Cowboys Project 2012) with future collaborations in the works. As a sound designer and engineer, he has worked with groups such as Grammy award winning ensemble eighth blackbird, International Contemporary Ensemble (ICE) and has premiered works by Steve Reich (Pulitzer Prize willing Double Sextet), David Lang, Julia Wolf, Michael Gordon, Steve Mackey and Rinde Eckert (Slide). Ryan recently designed sound for the Tune In festival at the Park Avenue Armory including the New York premier of John Luther Adams’ Iniksuit as well as for the 2011 Reich 75th birthday celebration in Millennium Park. Ingebritsen was recently awarded an Illinois Arts Council Fellowship in Composition as well as the Mc Knight Foundations Visiting Composer Fellowship to produce a new compositionally guided sound tour of a Minnesota State Park during the summer of 2010. He has also received awards and commissions from CEC Artslink, Chicago Community Trust, and the Chicago Composers Forum. Ryan Ingebritsen is a composer, sound designer, sound artist, electronic musician, and sound engineer whose artistic activities spill over from one world to another. Through all of his artistic activities, he collaborates with musicians, dancers and live performers to create interactive and site specific solutions that enhance expressive possibilities of sound through modes of interaction and utilize spaces and sound systems as instruments in an ensemble. 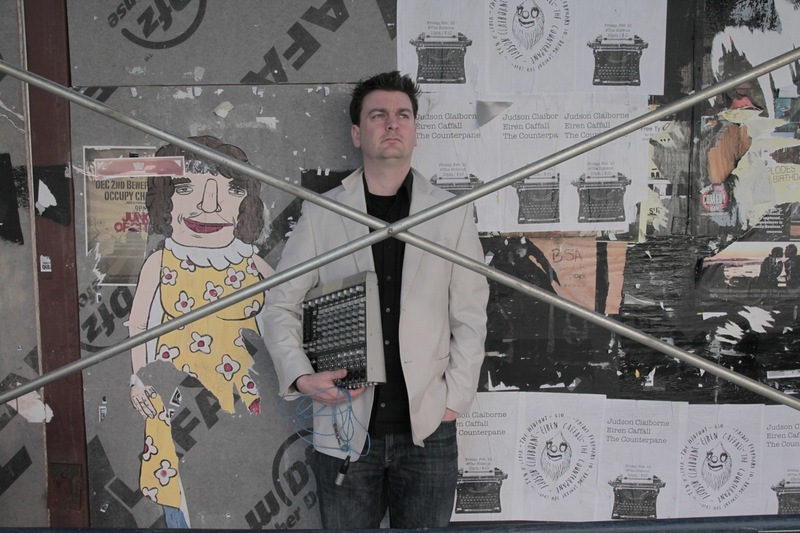 Ingebritsen has distinguished himself as an artistic partner in all of his collaborations and has become an integral part of the new music scene that has exploded in Chicago over the past 10 years. His work has taken him to Europe, Asia, and Australia and he has worked and had his work presented in premier venues throughout the US such as the Park Avenue Armory in New York and the J Pritzker Pavilion in Chicago working with groups such as eighth blackbird, International Contemporary Ensemble, Third Coast Percussion, and choreographers such as Erica Mott, Ginger Farley, and Sarah Shelton-Mann.